With howling multi-cylinder machines and screaming two-strokes in a variety the world had never seen before, the mid-to-late 1950s and the whole of the 1960s will always be remembered as a golden age of motorcycle road racing. This dazzling little Itom was restored at the Sammy Miller Museum, where it remains on display. This was reflected in our road machines, and the fashion quickly changed, Triton-style, to clip-ons, rearsets, racing fuel tanks, hump-backed seats, swept-back exhausts and open-spring rear suspension. With Italian firms at the forefront, the road racing look was soon taken up by some of the more astute manufacturers themselves, especially as far as the smaller machines that the youngsters dreamed about were concerned. 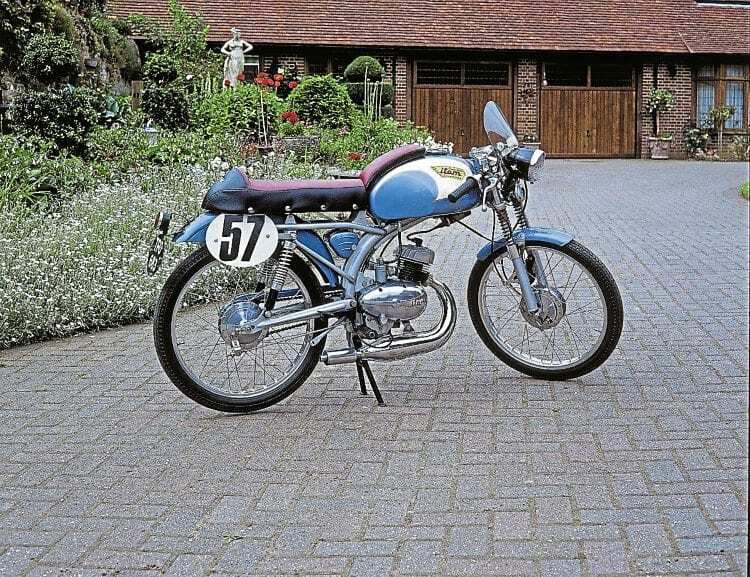 Some great-looking tiddlers in the 75-125cc bracket were turned out by the likes of Ducati, Bianchi and Moto Guzzi, but the rise of 50cc grand prix racing resulted in some dazzling road bikes in that egg-cup capacity, such as Itom’s Astor Competition, Garelli’s Monza Special and Ducati’s Sport 48 that looked as if they’d just screamed past the chequered flag. There were plenty of loud bikes around the streets where I lived, but the most ear-splitting of all was a tiny Itom whose owner had actually fitted it with a short racing trumpet exhaust.